David Rockwell--an architect best known for theaters, grand restaurant interiors, and posh hotels--is getting into the prefab game. He has partnered with Fred Carl* of the appliance company Viking Range to build the first luxury prefabricated homes for Carl's new modular housing venture, C3 Design, Inc.
Rockwell says that the modular homes will offer "a luxury design at a less than luxury price." He unveiled the Pinwheel series, a luxury line of prefabricated homes for luxury buyers at the Dwell on Design conference in Los Angeles in July 2014. Prefab architecture is typically associated with affordable housing, not luxury design. Because prefab buildings are constructed offsite, then shipped for assembly, they are less resource-intensive than traditional buildings. Rockwell and his team hope that with some architectural finesse, they can create stylish digs with minimal environmental impact. He said in a phone interview. "Prefab didn’t need to mean compromise in any way." Ultimately, the architect plans to work with C3 to design interior additions like prefab wine cellars. Creating a home that doesn't necessarily look like a cookie-cutter container became one of the key challenges. Rockwell says. "When you have a building block like a rectangle, you don’t want to have a railroad situation. That limitation became the key contributing factor to the design." His 2,400-square-foot house consists of four rectangular rooms arranged around a 500-square-foot interior courtyard. Rockwell was inspired by his childhood in Mexico, where "outdoor space was part of the lifestyle." The house features two bedrooms and two-and-a-half bathrooms, with a study that can be converted into an additional bedroom. The kitchen comes complete with a 10-foot-long marble island and professional grade appliances. Rockwell says. "I love the fact that you have this little private retreat where you can entertain outdoors and it’s connected directly to the kitchen." Since a prefab house can be shipped anywhere, Rockwell wanted to find a way to ensure the houses could fit into the local landscape, even if that landscape looked radically different from one buyer to the next. The exterior of the house will have a variety of aesthetics so that it can blend in just as well in Phoenix as it does in Honolulu. A hanging screen on the outside of the house--available in everything from steel to reclaimed wood to green landscaping--offers another way to give the house a more tailored aesthetic. Rockwell says. "In a modular landscape, what we try to do is come up with a design that is very flexible." For some, that means an eco-friendly way to build a swank vacation home. For others, it may make a carefully designed home a slightlymore budget-friendly option (prices haven't been released yet). Rockwell homes for the masses! Ish. Prefabricated housing shipments for the U.S. are forecast to rise 13.6 percent annually through 2017 to 140,000 units, a vast improvement from the declines of the 2007-2012 period. Prefabricated housing will benefit from a rebound in housing starts. Both types of prefabricated housing declined steadily from 2002 on, and were hit hard by the housing market collapse that began in 2007. As the housing market and general economy recover, demand for prefabricated housing is expected to rise along with total single-family housing starts. Despite the promise of some reduction in construction costs, these products have had limited market penetration, in part because of consumers' familiarity with traditional construction practices, or in the case of manufactured housing, some stigma attached to the product itself. These and other trends are presented in Prefabricated Housing, a new study from The Freedonia Group, Inc., a Cleveland-based industry market research firm. Overall, shipments of manufactured housing will reach 90,000 units in 2017.Demand for manufactured housing is concentrated in rural areas and in certain segments of the population -- particularly lower income groups such as young, first time home buyers and those over 55, such as retirees on a fixed income. Expected growth in these populations will boost manufactured housing demand. However, manufactured housing's market share is projected to drop from that of 2012 as the economy continues to expand and conventional mortgages become easier to obtain, and as new regulations make chattel loans (commonly used for manufactured housing) more difficult to secure. For other prefabricated housing, demand is more evenly spread throughout geographical areas and the segments of the population. As such, demand is less affected by trends in certain areas or populations, and will more closely track demand for overall single-family housing. Therefore, market shares for other prefabricated housing types will be little changed, and demand increases will be similar to those for single-family housing overall. Thresholds help designate where work physically starts and stops. 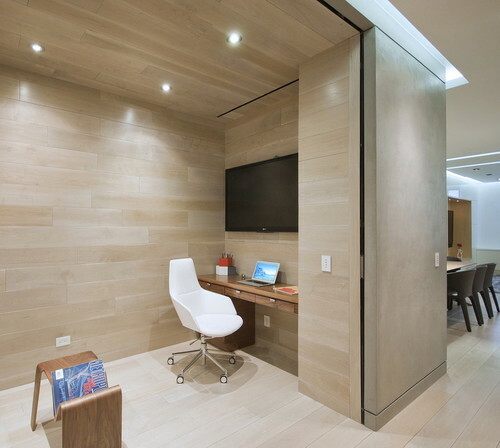 They are a visual cue that says, “Step into my office.” The sliding doors shown here not only help block out noise, but they also act as a visual indication to other residents that work is in session. If a separate, closed-off room isn’t possible in your living situation, look for places where you can introduce a threshold. 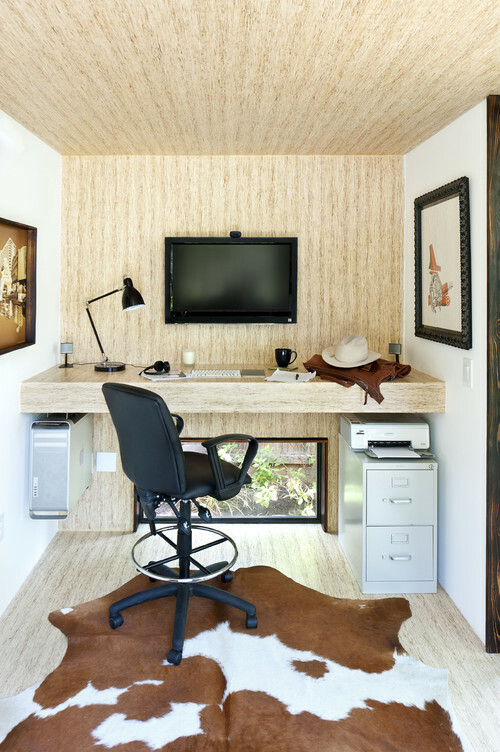 This elevated loft area is an ideal work nook. As with a threshold, the level change indicates the point where a new zone begins. The stair takes you from the home’s living area to a defined space for working, even though no doors or walls are present. Outlining a work zone can be as simple as switching the flooring material, signaling a different space identity to the home’s other occupants. A dark band defines the wall opening leading to this understair work area. This visual cue makes the change in zoning apparent as you enter and leave. Show off examples of what inspires you to do your job. Leave a blank section of wall that can be filled with ideas as they develop. 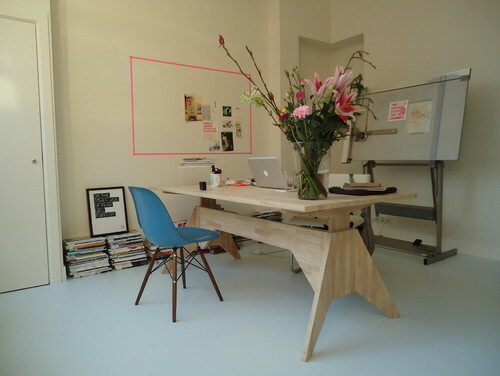 The pinup area could be a framed space for visual thinking. By locating this in your office space, you’re categorizing the tasks as work related, as opposed to writing them down in a notebook that might include a personal to-do list. What Does Your Inspiration Board Say About You? Or you could jot down ideas and keep track of tasks on an erasable surface. 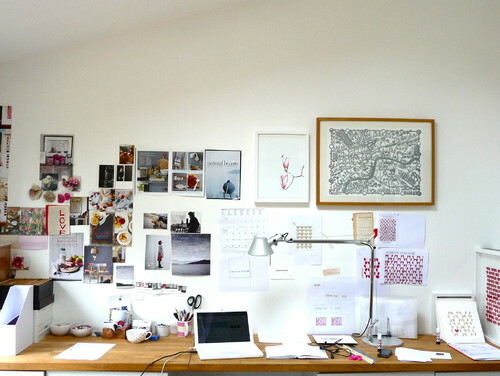 Ask yourself: Do you work better when images and personal mementos that inspire you are pinned up in an orderly fashion? Or does it motivate you more to have a variety of colorful, overlapping content? Something that’s seemingly chaotic to one person may provide the perfect amount of visual interest to another. Determine which method positively impacts your creativity. The more you surround yourself with what you love, the more time you’ll want to spend in the space. If you’ve ever worked from home, you and your couch may have a complicated relationship. It’s time to move on. The couch may seem comfortable at first, but over time you’ll feel it impacting your motivation as well as your spine. A proper chair and work desk will greatly increase your productivity. They will also define your office as a professional workspace. The search for a great chair should be twofold. Get a chair that is a) comfortable and b) stylish — something practical and beautiful that you will want to spend hours in, because you will. Invest in any equipment that you may need solely for your office environment. For easy access, place everything you use on a regular basis closest to your workstation. If your printer is in another room, you might find yourself leaving your office to pick up a print and getting lost in a variety of distractions. By confining equipment to one zone of your office, you may gain extra horizontal space for tasks that are not technology dependent — such as sketching and letter writing. 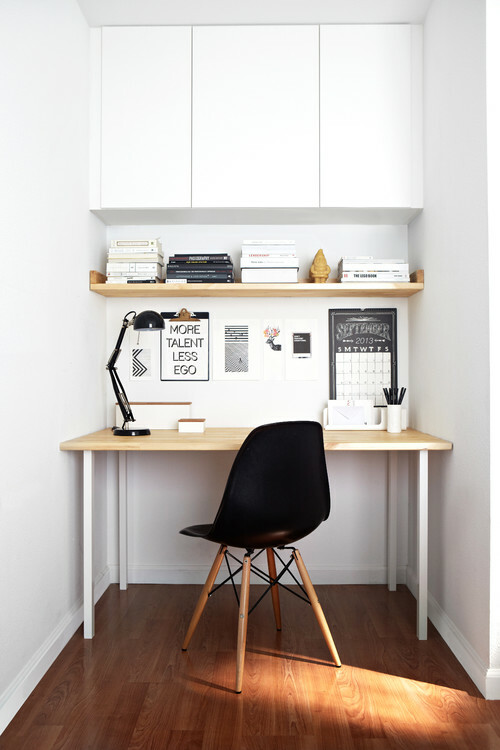 Are you more productive in minimalist surroundings? 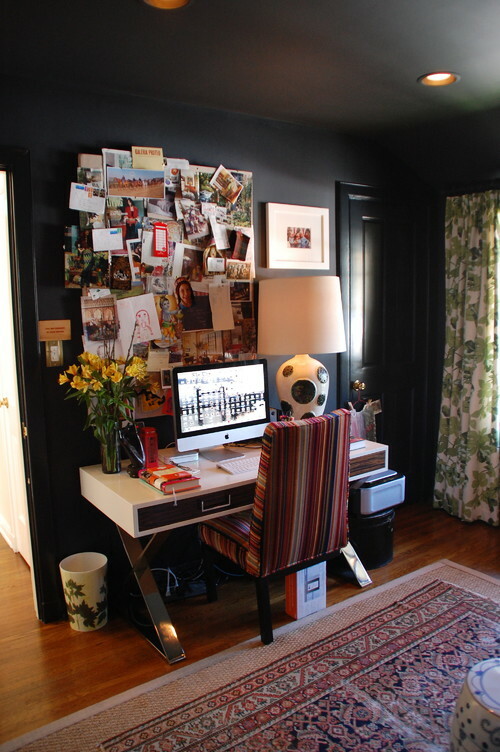 Or do you need visual clutter to inspire you in your line of work? What might seem bland and lackluster to one person may be another’s ideal Zen zone. If you are easily overstimulated, try stashing things behind closed doors and drawers, leaving just enough objects on your workspace to keep you on track. When you combine open and closed shelving with multiple work surfaces, it’s an all-around win. This type of layout works especially well when more than one person (and personality) is sharing the space. It doesn’t take much natural light to fill a small space and elevate your mood. 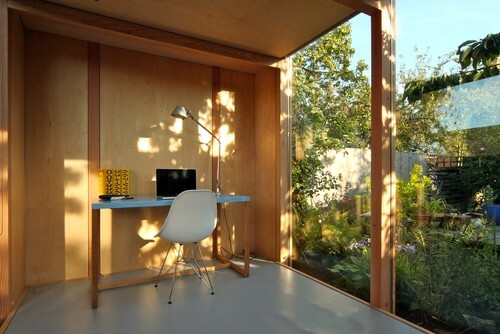 Working with the windows you have, let light be a space-defining tool. This unexpectedly placed window provides a connection to the exterior world while still allowing ample wall space for a television screen that’s used as a computer monitor. The beauty of letting natural light in is that it usually comes with views to the exterior.Looking out to vegetation helps ease our mind and aids in contemplation and meditation. This simple strategy can be extremely powerful, and can affect your overall productivity within your work area. 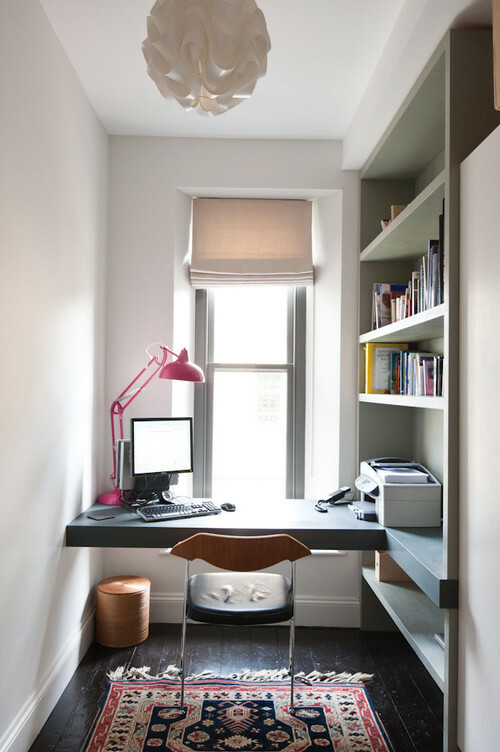 Allocating a distinct workspace sets the foundation for a productive home office. "Nano House," a new book by Phyllis Richardson, compiles outstanding examples of small-scale living. Driven by a commitment to reduce energy consumption and built space, there’s a growing trend among the eco-conscious to build tiny homes. A new book, Nano House by Phyllis Richardson (Thames & Hudson), gathers 40 of the best-designed examples from around the world--all of which showcase an appreciation for the efficient use of space, materials, and resources. Check out the slideshow of 7 houses from the book. And if you want more, it's available for $20 from Amazon. Fablab House, IAAC with MIT Center for Bits and Atoms, Spain, 635 sq. ft. The pointof Fablab House is to get as much solar energy and provide as much living space in a compact, thermally efficient, and low-cost structure. According to the team, it's a "paraboloid section positioned for suitable solar tracking and deformed in appropriate steps aimed towards an optimal orientation for summer (narrowing to the west, widening eastward, and flattening towards the zenith of 70˚)." Since the project was designed for the hot Madrid summer, the group created shaded outdoor space by raising three legs of the building off the ground. Since the project was designed for the hot Madrid summer, the team created shaded outdoor space by raising three legs of the building off the ground. The legs contain services, equipment, and water. The house is built solely of wood, cut from laminated timber using CNC technology. Blob dmvA Architecten, Antwerp, Belgium, 215 sq. ft. It took a contractor six months to hand-craft the ovoid shape of Blob, a guesthouse out of polyester. The interior is lined with a gridlike storage system, which also has compartments for lounging and sleeping. The nose of the blob and a side door can be opened to create an airy pavilion. The interior includes 360 degrees of shelving stacked four levels high, skylights and windows to let in natural lighting and a built-in shower. Blob looks a lot like a big Easter egg. Here's the exterior view with the sidedoor and front open to let in air and sunlight. The bottom image shows Blob fully-closed to reveal its egg shape, almost spaceship-like in appearance. Imagine a cluster of Blobs in different colors. Just wished there were more windows. Villa Hermina HSH Architekti Cernin, Czech Republic, 635 sq. ft. This box on a hill has two attention-grabbing features: its Pepto-colored exterior and its interior slant. The color refers to the designers’ favorite building, Ludwig Leo’s Versuchsanstalt fur Wasserbau und Schiffbau, in Berlin, whose external pipework is painted pastel pink. The steep incline is in part a response to the client’s request for a movie theater with raked seating. The lower level is connected to the upper by bright-green ramps, which provide more floor space than traditional stairs. The floors are covered in an anti-skid material common in sports facilities. The steep incline is in part a response to the client’s request for a movie theater with raked seating. The lower level is connected to the upper by bright-green ramps, which provide more floor space than traditional stairs. The floors are covered in an anti-skid material common in sports facilities. Roll-It Institut fur Entwerfen und Bautechnik University of Karlsruhe, Germany, 6 ft., 6 inch x 10 ft. Designed by students Christian Zwick and Konstantin Jerabek as a competition entry, Roll-It is the ultimate mobile home. Not only does its barrel shape allow it to be easily transported but its interior rotates like a round Rubik’s cube. It’s broken into three rings: at one end is a sleeping/living area, at the other is a kitchen and bathroom hub, and in between is the “corridor,” which can the user can turn by walking up its slope like a hamster wheel. Apart from providing exercise, the middle wheel functions as a dial to rotate either of the outer rings into the desired position. The interior is broken into three rings: at one end is a sleeping/living area, at the other is a kitchen and bathroom hub, and in between is the “corridor,” which can the user can turn by walking up its slope like a hamster wheel. Apart from providing exercise, the middle wheel functions as a dial to rotate either of the outer rings into the desired position. Sunset Cabin Taylor Smyth Architects, Lake Simcoe, Ontario, Canada, 274 sq. ft.
Sunset Cabin's architect Michael Taylor describes this one-room house, located on the southern shore of Lake Simcoe, as a “simple but sophisticated Canadian bunkie.” Despite its seemingly complex pattern of louvers, the entire structure was constructed from prefabricated sections in four weeks. Lumenhaus, Virginia Tech University, Solar Decathlon Europe 2010, Spain, 667 sq. ft.
Lumenhaus beat out 17 other research universities for the Solar Decathlon title. This unit adapts to changing weather conditions with high-grade insulation, solar panels, and a centrally controlled energy system. A series of sliding doors was inspired by the mushrabiyahfound on traditional Arab houses. The stainless-steel screens feature a sophisticated pattern of disk-shaped cutouts; The rotation of each of the 9,000 disks was determined by Grasshopper software, which was used to calculate the angle of the sun and the degree of visibility in different areas of the house. The higher the disk placement, the more light is let in. House Arc Joseph Bellomo Architects, Hawaii, 753 sq. ft. The idea for this house has its origins in a bike shed. The eco-minded California architect Joseph Bellomo partnered with the cycling enthusiast Jeff Selzer to design a bike-storage unit that could be installed in parking lots, parks, and city centers. The result was the Bike Arc, a structure made of curved steel ribs and covered in semi-opaque polycarbonate. Bellomo adapted the model for housing, using the same basic shape but with the addition of cedar cladding (which can vary depending on what’s locally available) and sliding glass doors. The house can consist of two modules--one with a kitchen and living area, the other with sleeping quarters--that are joined by a breezeway. Bellomo envisions the Arc being used as a prefab housing solution for people who have been displaced by natural catastrophes. COMMENTARY: Now that's what I call compact living at its finest. The Nano Houses are sleek, modern, minimalist in their design concept and designed to optimize limited space. Small by normal home standards, but sufficient for a single person willing to live in tight quarters, but at a very low price. If you can find a small plot of land, let's say somewhere on a bluff overlooking the sea or valley below, that has plenty of trees, plants, flowers and shrubbery, now and that would be heaven for a guy like me. I could blog there all day in absolute comfort. Bar-B-Q on the wooden desk or small balcony, and we are in business. So instead of having to buy a new house when you have to move, you simply take your Nano House with you. Now that's what I call mobile housing. USING TECHNIQUES IMPORTED FROM TOYOTA, HERMAN MILLER HAS ACHIEVED STUNNING EFFICIENCY WHILE EMPOWERING ITS WORKERS. The process is as important as the results: It’s the individual employees on the line that are suggesting these improvements. At Herman Miller, they average 1,200 "plan-do-check acts"--that is, little proposed changes to the assembly process--ever year. Eric VanDam, Herman Miller's director of operations in seating says. "The biggest thing is to empower people to change the work in ways that matter to them." You might think that all this means that Herman Miller should be running into a practical limit in how efficient they can be. But they’re still getting improvements of a quarter to a half of a second at a time, month by month. They’re on track this year to beat all their records--again. COMMENTARY: I wish I could put together a new office chair in 340 seconds. 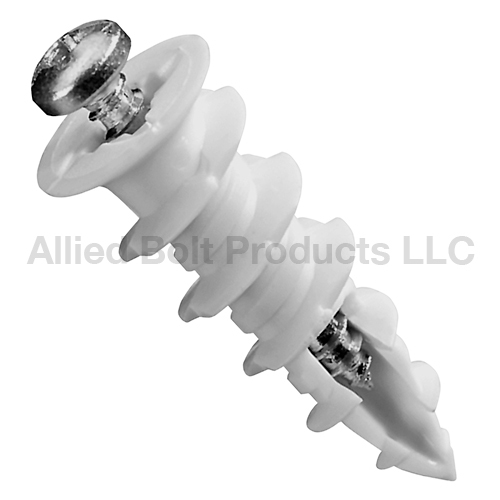 If you have ever had to put together an office chair, or even a wodden desk, it can be a very time-consuming and frustrating experience, even with a set of written instructions to work from. 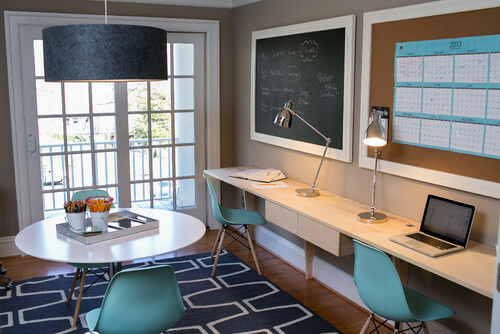 SmartFurniture, Herman Miller's San Francisco distributor, makes it look easy in this video. I do love Herman Miller office furniture, especially those ergonomic and comfortable Aeron chairs. I view them as a form of art, not just office furniture. Plus, they are 100% made in the U.S.A. They are a bit pricey, but you get what you pay for. Herman Miller products are sold only through authorized office furniture distributors. The basic price for the Aeron chair is $629.00, and can be customized with lumbar support adjustment, leather arm rests, fully-adjustable arm support and other goodies. It costs $50.00 extra to buy one fully-assembled. Beware of cheap foreign imitators. There are several of them out there, but they are just not the same thing.